The US based multinational auto giant General Motors has stopped the production of its famous sedan Chevrolet Cruze due to lack of spare parts. According to the company, from now onwards the Chevrolet Cruze will not be produced from its manufacturing plant based at Lordstown, Ohio. The unit will be kept closed until the supply of the components returns back to normal. One of the largest automobile manufacturers globally General Motors, however, did not indicate any particular component that is falling short in the production of sedan Cruze. As per the company, it is trying its level best to arrange for the required spares and will soon commence the manufacturing of Chevy Cruze sedan. The scarcity of the parts might be due to the catastrophe that occurred this year in Thailand. It has affected many auto makers worldwide. For instance, Toyota Motors that is going through same traumatic situation since last 6-8 months, as its component producing factories in Thailand are submerged under floods. The major portion of Asian continent is entirely dependent on the components that are supplied by Thai units for Toyota Motors. It is to be noted that Chevrolet Cruze was launched in the year 2009 in India; it was the time when the American auto major was struggling to sell its products in the country, the sedan came to rescue and proved to be a savior for the company. 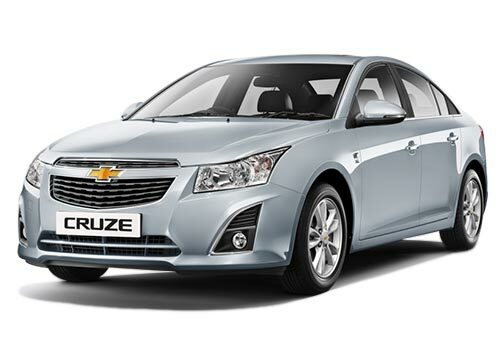 The legendary automotive company General Motors which has completed 100 years of its trusted service a couple of years’ back, now plans to launch a new variant in India in the form of 2012 Chevrolet Cruze. Chevrolet brand in the country comprises of hatchback Chevrolet Spark, Chevrolet Beat and Chevrolet Aveo U-VA along with Chevrolet Tavera and Chevrolet Captiva in the MUV and SUV segment respectively.